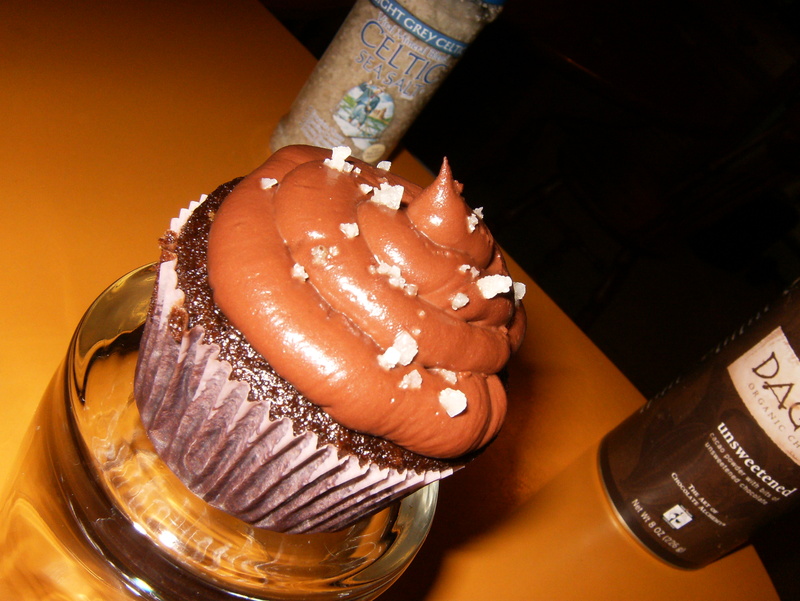 salted | Cupcake Villains Strike Again! As it is winter in this rain-soaked land, all of my creative energies have to remain indoors. Double-digging trenches is an exercise in futility when I’m facing another two months with average rainfall totaling eleven inches. As it is, I spend my time creating shockingly intricate planting calendars, trying to teach myself to use obscure fundraising software, and wondering about what kind of decadent the next cupcakes should be. Which is where My Nefarious Accomplice Alexis comes in. MNAA introduced me to the concept of salted chocolate. I like the idea of dark chocolate with a nipping sea salt providing a sharp counterpoint. It seemed like a really exciting idea for a cupcake, and I am indeed excited. 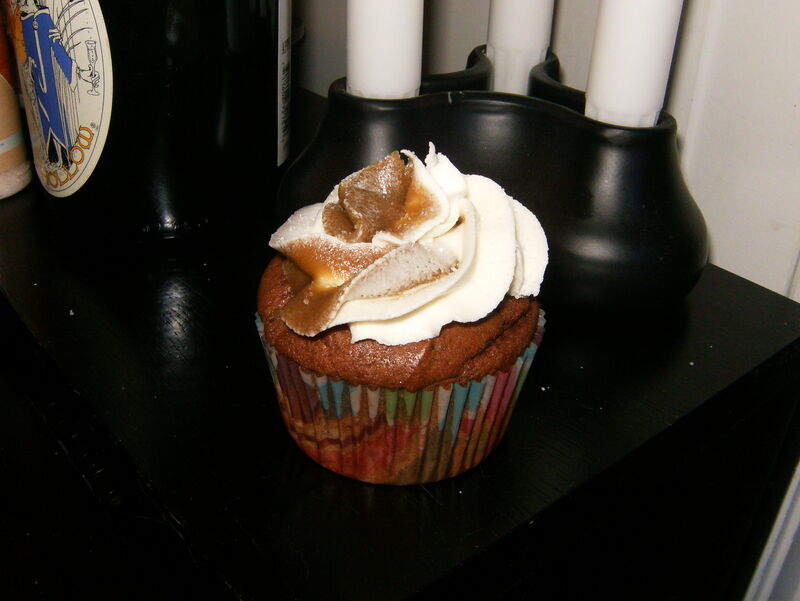 One of my other blogging projects has culminated in temporary limited cupcake funds, which have gone towards the purchase of a bag of coal-black chocolate, smoked sea salt, and dutch-processed cocoa powder, which went into these wonders.